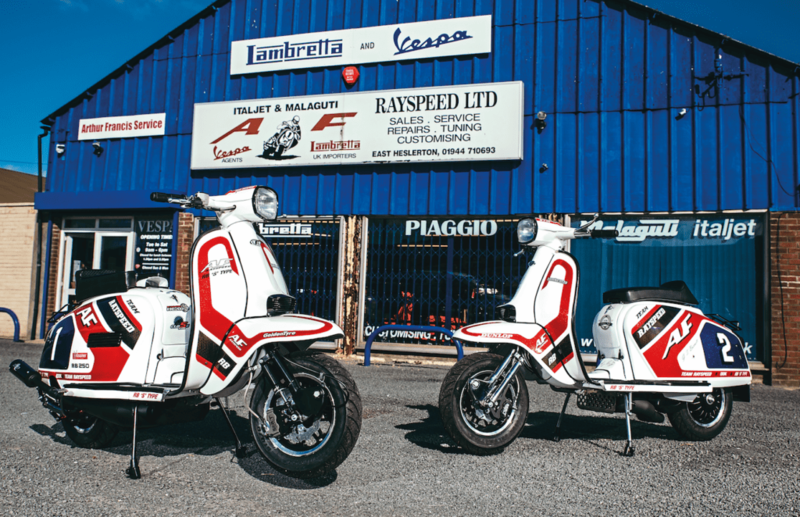 Mention AF Rayspeed and the first machine which springs to mind is the legendary ‘S Type’, but we should never forget their other timeless classic, the Team Lambretta. Ever since Arthur Francis first produced the ‘S Type’ in the mid-1960s, it has achieved cult-like status. When Ray Kemp took over the company a decade later, he further enhanced the brand and, if anything, made it even bigger. 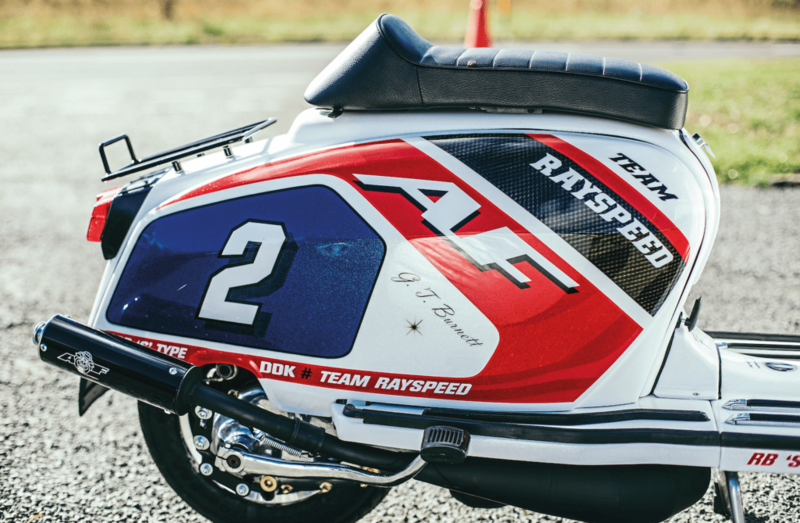 Often overshadowed by all of this is the AF Rayspeed Team Lambretta. Ever since it was created in the 1980s, its timeless design has been copied on many occasions. 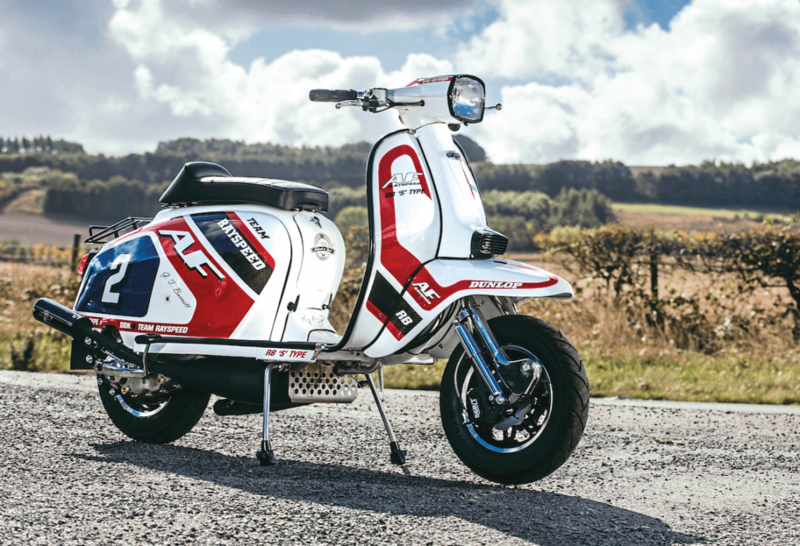 Keen to see it stays in the limelight and receives the attention it deserves, Ray and the team have embarked on producing a limited edition run in celebration of its rich history. The design first came about when Ray himself was persuaded by racing friends Jem Booth and Andy Francis to set up a race team in the 1980s. Taking up the challenge, they competed in several classes, including Ray himself, who briefly campaigned in group six to promote the then new TS1. The colour scheme was executed around a white base with red and black overlay. The panel work used the stepped triangulation speed blocks incorporating the team name, rider name and number in a descending order. Ever since its inception, this layout has been a source of inspiration for many street racer paint creations. While the side panel layout has appealed to many, it’s the leg shields and the front end that are the real stand-out features of the scheme. 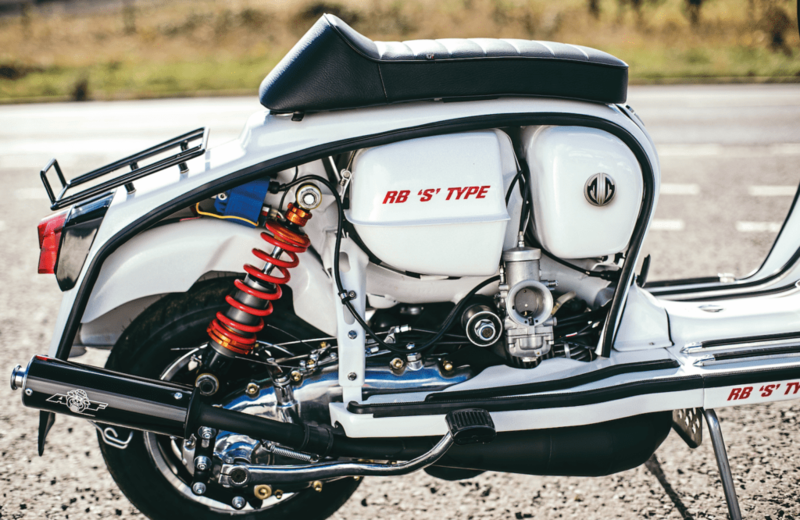 Using a set of uniform lines divided between the centre of the horn casting and front mudguard, each side flows from the front mudguard on to the leg shields. A new look at the time, it still appears modern by today’s standards. Although in a way the design is complicated, it has a clean, simplistic look about it and also one that is unique. Often copied or replicated, the connection to the AF team special is instantly thought of in people’s minds, and it’s this association which gives it the same kudos of that of the ‘S Type’. 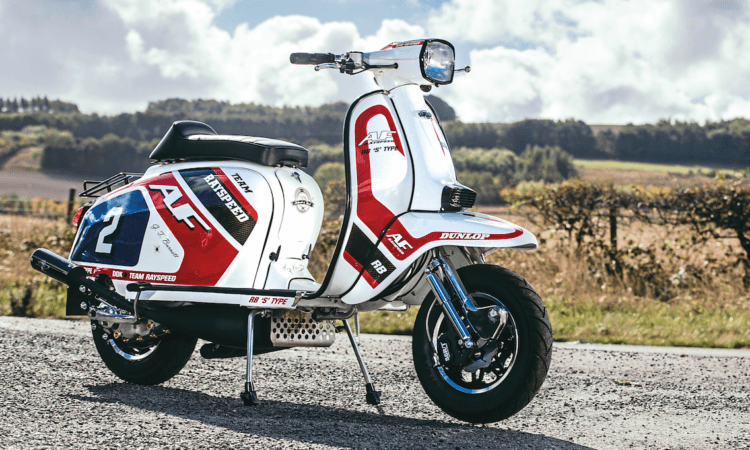 Read more in the April issue of Scootering, in the shops NOW!